Solo exhibition by Kuwaiti artist Shurooq Amin, curated by Martina Corgnati. 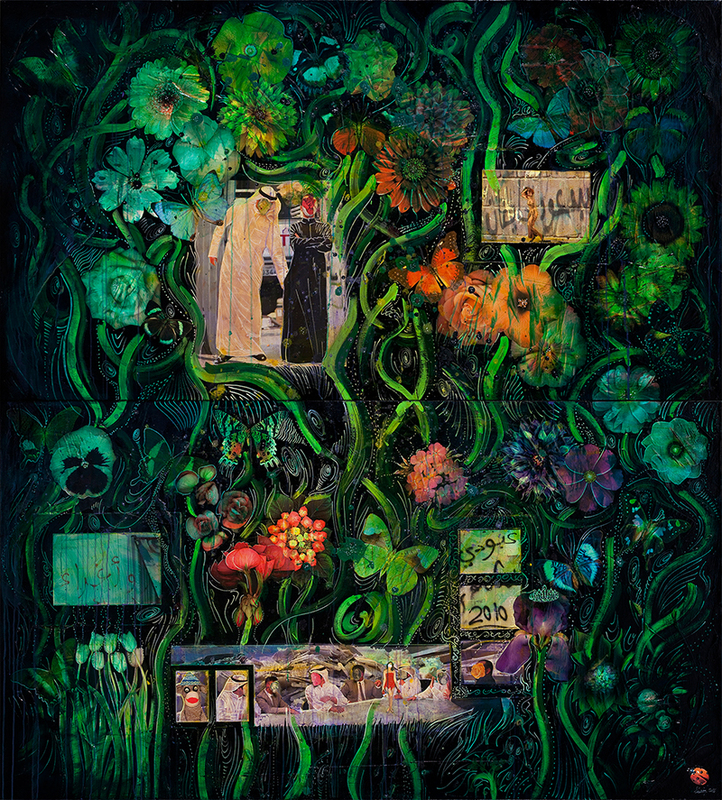 Ayyam Gallery in collaboration with Contemporary Art Platform Kuwait. It has been 4 years since the shutdown of Shurooq Amin’s last show in Kuwait and the subsequent censorship of her paintings. Since then, she has only exhibited her work abroad. She has been fortunate to have the representation and backing of Ayyam Gallery, who believed in her, gave her a platform to raise her voice uncensored, and invited her to show her work in Dubai and London, and now Contemporary Art Platform – Kuwait. It’s a Mad World will be curated by Martina Corgnati with whom Shurooq Amin had collaboration at the 56th Venice Biennale where Corgnati curated the pavilion Shurooq Amin was part of: Contemporary Practices Pavilion. It is only fitting that the original title for this show – Apocalypso Now – should be changed to It’s a Mad World, to arrive full circle from her last show in Kuwait, It’s a Man’s World. As simple as the title is, as meaningful as it is for Shurooq Amin, since the pattern (semantically, syntactically, and phonetically) – and full circle – from It’s a Man’s World to It’s a Mad World is explicit. It’s a Mad World consists of 18 artworks and an installation.